Being in the Northwest, we are lucky to have lots of rain, and therefore, lots of rainbows!! This photo was taken last month. 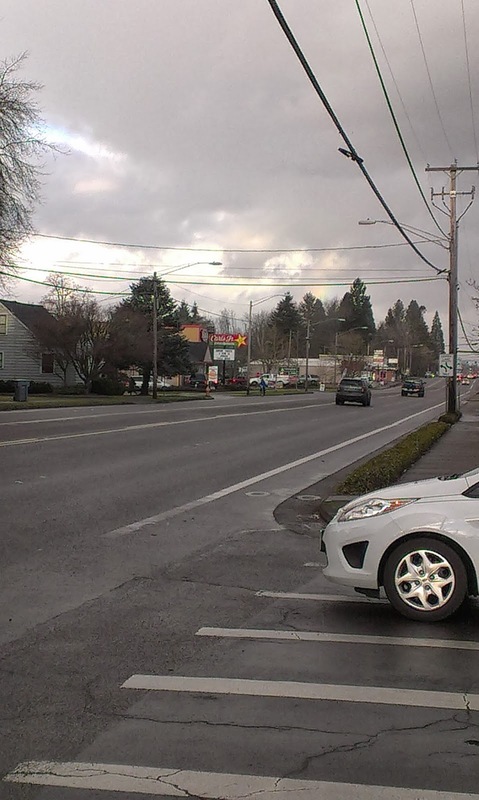 It's a crappy shot, but you can see it waaaaay off in the distance above the trees. And when there aren't any rainbows around, I try to make them! One place that most people would not think of seeing a rainbow in is those stretches of landscape pebble rocks that people sometimes line their properties with. 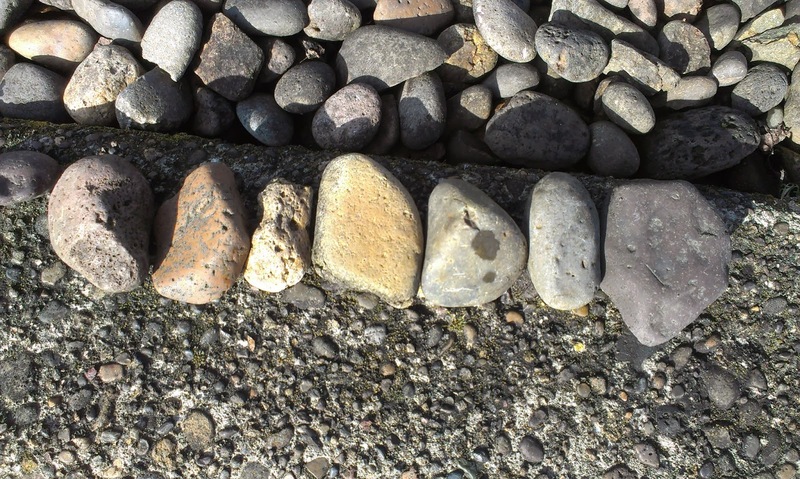 What look like a jumble, of mediocre rocks is actually an assortment of subtly hued rocks that can be lined up and turned into an instant rainbow! That's right, I am working on a (subtly) rainbow quilt for Ella's upcoming 5th birthday! 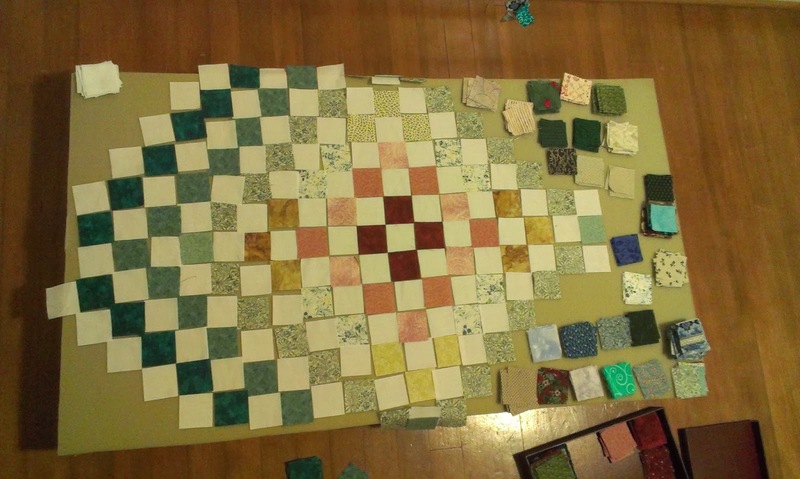 Using only pieces from that stash MariAnna gave me, I hope to pull off a large enough quilt that it will fit her bed. Her bed is larger than a toddler bed, but smaller than a Twin...it's an IKEA Kritter bed, which means it's roughly 65" x 29". I hope you are all having a lovely week and are looking forward to the weekend. Until next time, take care and Happy Rainbows~!